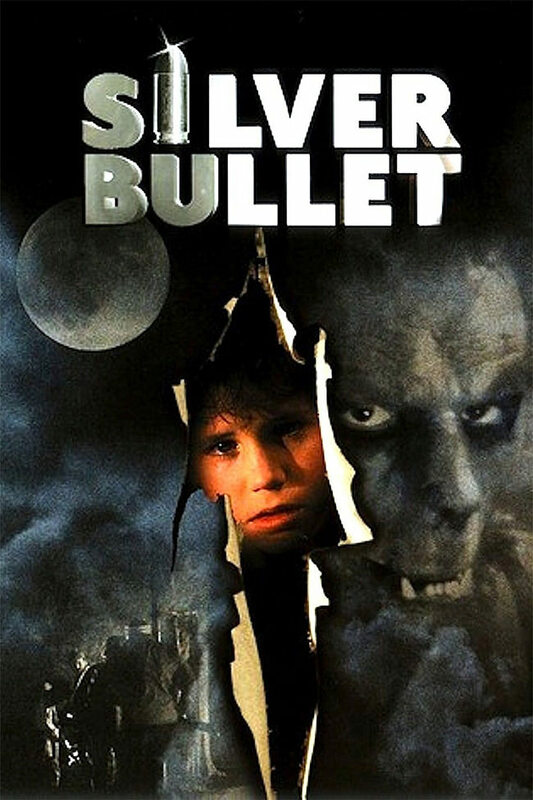 I was going to turn in early tonight after watching some heavier films but decided to check out a few minutes of Silver Bullet. Modern werewolf films have often been not good, they've not enjoyed the emphasis zombies or vampires have had, but SB is one of the better ones. They're still not able to beat the epic transformation from 1981's An American Werewolf in London, granted they might not have been trying to. The 'small town vibe' and narration works well as a hook into the lives of our child heroes, the same sort of feel that Stand By Me had in spades. If more films want to use the 'giallo style' killer's perspective shots that's fine with me. There are times the film seems less interesting when it reverts back to horror staples mid-movie, slightly updated redneck style, like the werewolf hiding under fog is pretty dumb (cool visual aside) and the priest's nightmare scene got me at first (wtf use of a lame device). 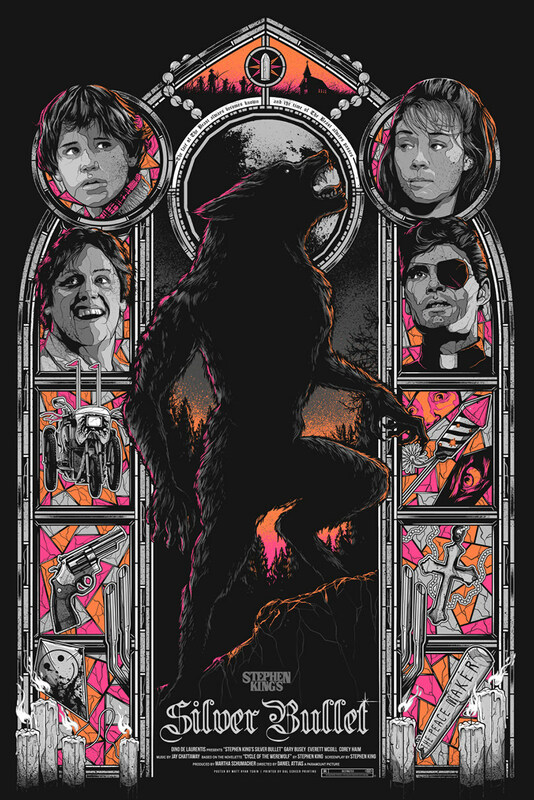 This nightmare scene is especially cool when it's revealed the priest is actually the werewolf. Some of the camera panning and angles are especially artful. Is this suppose to be a jab at the church? The predator priest might mean more today than it did back in the 80s, or there's more to soothsayer Stephen King than we know (could even just be an undercurrent of religious skepticism). It seems like evil priests would have been taboo earlier than the 80s. 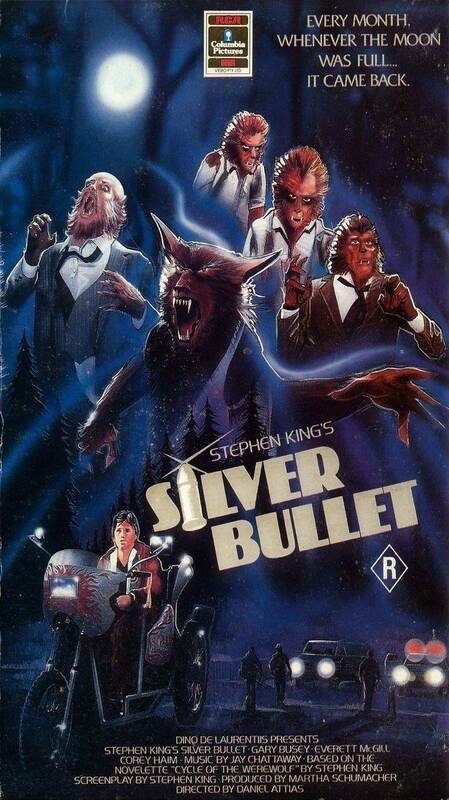 Silver Bullet was another film that looks glorious in high definition and it's been long enough since, I think, I've seen it before it was practically new to me. Last edited by Undeadcow; 10-24-18 at 01:14 AM. Wolf in sheep's clothing! YES! First time view, and we have back to back Corey Haim for theme nights. Found him much less annoying this time around. I'm only about half way through and I'm really liking the R-rated, after-school special vibe to this one. Let's see, we have Gary Busey, Terry O'Quinn, Everett McGill and Lawrence Tierney. What's not to like about this movie. We'll see how it turns out. Opening narration: “...our last full moon, a little more than a month ago...”. Huh?! Well, I enjoyed this one. I think this is the first bat wielding werewolf I've encountered. I felt the werewolf effects were lacking, but not entirely dated, as I'm one of those that think The Howling practical effects are superb. I really need to get this blu as I liked the movie a good bit. First time view BTW. I don't think I've ever seen this before. I liked it a lot. Nice "soft horror" feeling, which is good at this point in the challenge. Folksy Stephen King narration. Corey Haim was adorbs and Gary Busey! I never "got" Gary Busey. This is the first thing I've seen him in where I really liked him and he didn't seem too weird. I agree that the werewolf effects were a bit light, but I suppose that gave the final scene more impact. Looked awesome on blu ray. 7/10 from me. 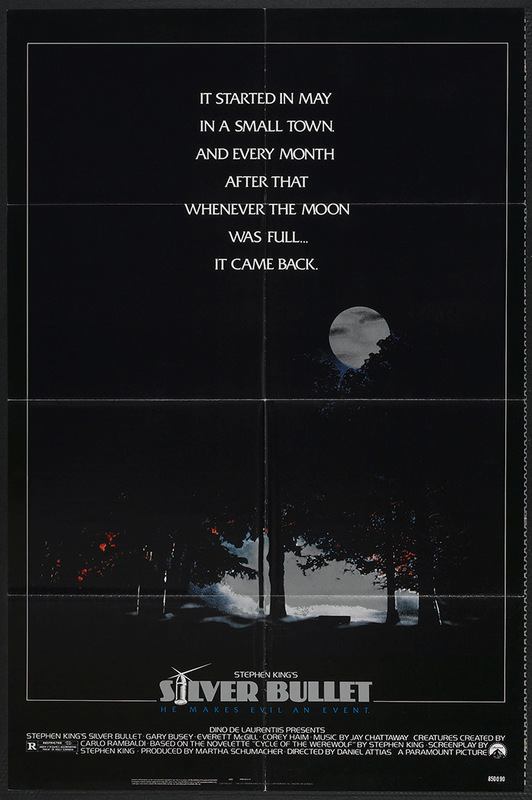 Apparently quite a bit of time has passed since seeing this because I distinctly remember Gary Busey being the werewolf. But good story, great chemistry between Busey and the kids, and Everett McGill is perfectly cast. 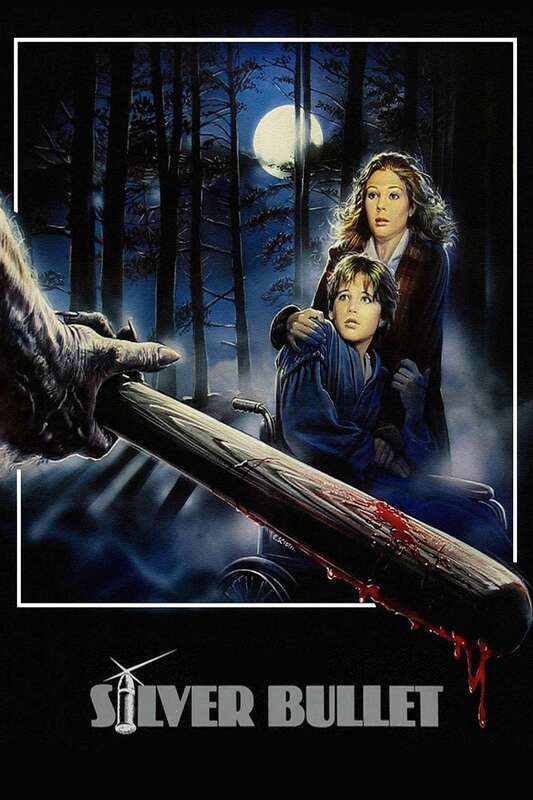 The one thing that keeps this from being a classic is the lackluster effects, and that's why it'll never be in the same league as The Howling or American Werewolf. Honestly, the last shot of the full werewolf getup looks like a furry costume. That makes it even scarier. A werewolf using a baseball bat and playing the organ is pretty cool. My sister had Cycle of the Werewolf, which was originally my grandmother's book, and I remember the illustrations, particularly the severed hog's head on a post. Best part of the movie for me was the sister trying to determine who was missing an eye while collecting bottles. Gary Busey was a lot of fun and Megan Follows was everywhere in the '80s. This was a first-time viewing for me, and I was surprised at how much I enjoyed it. I definitely found it to be the stronger of our Corey Haim subset double feature. The nightmare sequence was great. I enjoyed McGill a lot. I've also liked his presence; I just haven't seen him in too much aside from Twin Peaks. Actually, the cast as a whole was strong. For those who doubt Gary Busey as an actor, you should watch The Buddy Holly Story. He always had a manic energy (thanks, cocaine), but I think he got worse after a motorcycle accident. You have to love the '80s, a time when parents didn't hesitate to give children dangerous things, even weapons, to play with.